Last week, I received the best box of fresh fruit goodness. One of my favorite people in the world sent me a case of organic citrus fruit from Frog Hollow Farm as a new mama gift. How perfect was that? Blood oranges and tangelos were the big hits around here. The kids were AMAZED by the gorgeous colors in the blood oranges. They were popping them in their mouths as fast as I could peel them. 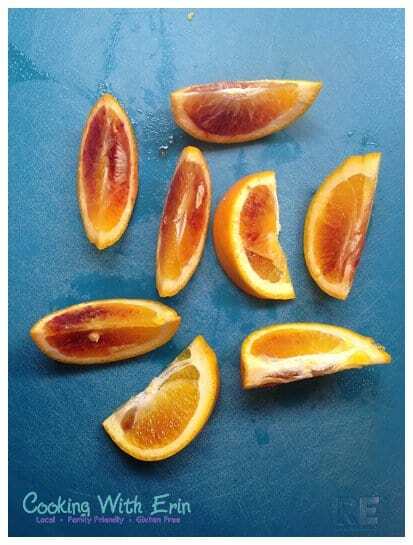 If you have never indulged in a blood orange in the middle of a dreary, gray winter, get yourself to a grocery store, pronto. Or order yourself a citrus shipment … you know you’re worth it. I sauntered into the laundry room to check out our alcohol supply – doesn’t everyone keep their booze in the laundry room? Much to my surprise, a thin layer of dust covered all of our liquor bottles – maybe not dust, exactly, maybe it was more like laundry lint. We are not big drinkers over here, clearly. Parties, yes. Nightly with dinner, nope. The liquor supply looked just like I left it back in May when I found out I was expecting Baby Cinco. It felt good to dust off some bottles and do a quick little inventory. Blood Orange Martinis … Getting Ready! For this cocktail recipe, all you need for alcohol is vodka and triple sec. Triple sec is an orange-flavored liqueur. This is a very handy bottle to have in your repertoire. I find myself using it all the time in cocktails. I use it in margaritas, cosmopolitans, martinis … it is hugely versatile. The rest of the blood orange martini recipe is very easy. 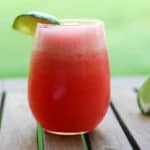 You will want start by mixing up a little simple syrup and have a lime and a blood orange (or two) on hand. That’s it. To make enough simple syrup for three to four martinis, I used a 1/4 cup of sugar and 1/4 cup of water. 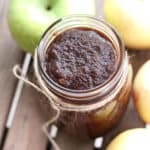 Bring it to a boil, whisk it, let it simmer for 2 to 3 minutes until all the sugar is dissolved into the water, and then let it cool while you prepare your other ingredients. In your cocktail shaker, combine the vodka (6 oz), the triple sec (2 oz) and the juice from one lime and one (or 2) blood oranges. If you don’t have a handy citrus press, you need one. They are not that expensive at all. Everyone needs an easy citrus press in their life. I have a green one that is lime sized and a yellow one that is lemon sized. Nothing gets as much juice out of your citrus as these simple, aluminum citrus presses. Combine 1/4 cup sugar and 1/4 cup water in a small saucepan to make a simple syrup. Whisk, bring to a boil, simmer for 2 to 3 minutes. Set aside to cool. Combine the vodka, triple sec, and the juice from 1 lime and 1 to 2 blood oranges in a cocktail shaker. Add the cooled simple syrup. Add ice. Shake well until the cocktail shaker is too cool to hold. Pour evenly into 3 to 4 martini glasses. Garnish each glass with a slice of blood orange. Thanks, Alicia! 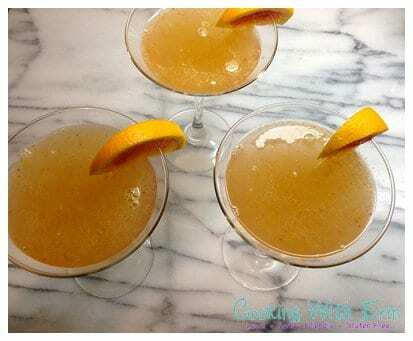 Nothing like a citrusy cocktail to brighten up a winter weekend! 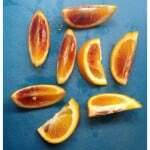 I loooooove blood oranges, great choice! Blood oranges are so beautiful! Hands down my favorite citrus and I always WAIT for them to be in season every year! 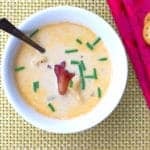 I know this is an older post, but I would love it if you would link it up to Tipsy Tuesday at Grey is the New Black today! I wish I had one of these right now. I love blood oranges. Thanks! 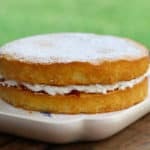 It has definitely been a big hit every time we make these! 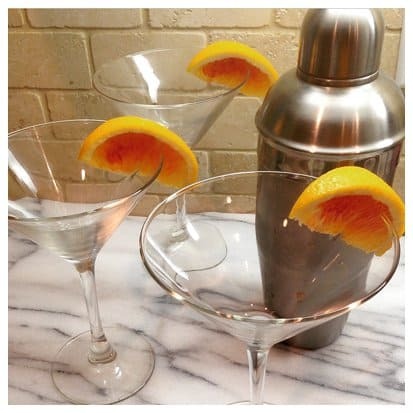 Love martinis, and love oranges, so I’ll be sure to try this! Thanks! Wow blood oranges are one of my favorite fruits! Thank you so much for this recipe! Thanks, Florian!! LOVE blood oranges here, too. It really is a tragedy when you realize how long it’s been since you enjoyed a good cocktail thanks to a baby. I once picked grapes and made wine while I lived in Germany. Then I moved to Japan, and the case of wine I’d made caught up with me about a month after I learned I was pregnant. Sigh. I hear it was delicious. Seriously, Kirsten! Dust on the liquor bottles! Sad. Tastes even better after a long hiatus, though!